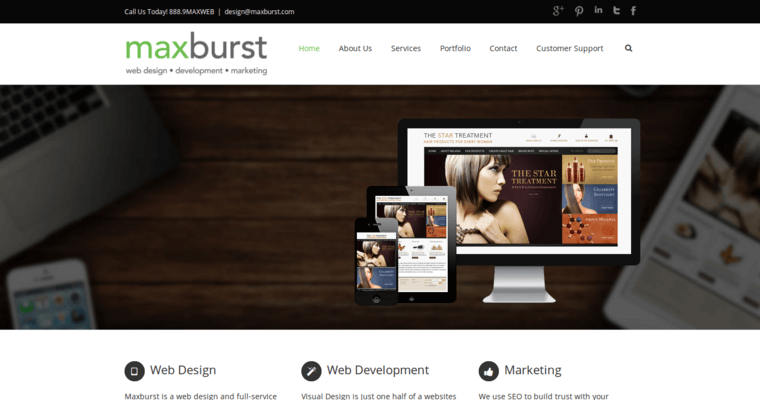 Maxburst is a website design firm that helps its clients find their branding identity and develop social media marketing campaigns. Maxburst also offers affordable web hosting to its clients and creates PPC and local SEO campaigns to help drive leads and conversions. 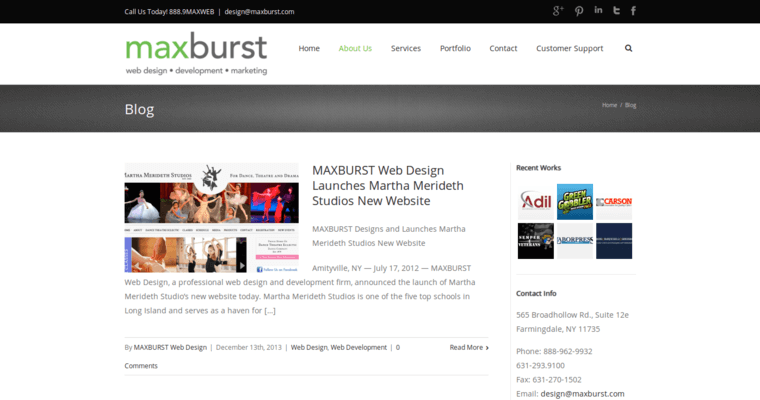 Web design at Maxburst puts the client's branding image at the forefront of every webpage. Perhaps more importantly, Maxburst's designers and website developers incorporate e-commerce and mobile-compatibility into every website to allow customers to find the client's website anytime, anywhere. 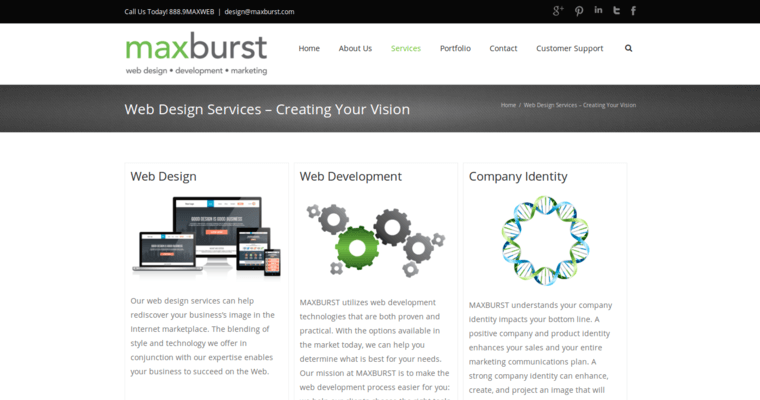 Websites created at Maxburst are fully customizable by the clients at any time since Maxburst incorporates content management solutions into its site designs. Considering the fact that Google receives over 30,000 searches per second, Maxburst makes sure to use the latest local SEO techniques to their clients' advantage. Keyword optimization and carefully screening the search trends of a client's consumer base reinforce the SEO efforts at Maxburst. With branding, website creation and social media marketing, Maxburst is a full-service creative agency that simply gets results.